iPhone X elevates niche optical technology to hot growth market. Now the question is what else it is good for? Vertical cavity surface emitting laser (VCSEL) technology, a proven but mostly niche technology until recently, is suddenly a very hot commodity thanks to the introduction of facial recognition in phones and other mobile devices. VCELS primarily have been used as a low-cost way of tracking movement and transfering data in computer mice, laser printers and in fiber optics. But Apple’s decision to use VCSEL technology for facial identification in its iPhone X has pushed this technology in a different direction. That decision—and the flood of smartphone and consumer electronics makers who followed suit—forced the whole VCSEL market to scale up with new fabrication, testing and validation processes. VCSELs are just one of a handful of different silicon photonics approaches that are beginning to gain notice. Across the semiconductor industry there is work underway to bring one or more of these various technologies into the mainstream, particularly at advanced nodes where pushing electrons through wires is becoming much more difficult. 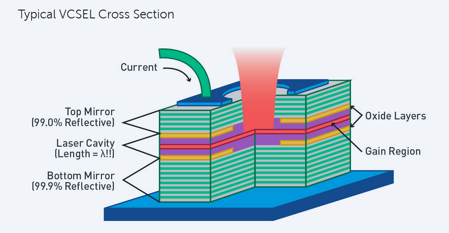 Put in perspective, VCSELs are just one of a number of possible chip-based light sources that can be used in these devices. What makes VCSELs so attractive is the laser is emitted perpendicular to the device. That has a number of benefits, from scaling to test. That hasn’t slowed research into other areas, however, where much of the research is focused on stacking of different materials and integrating some or all of those into a package. What gets put into the package, or what resides outside the package, is still being worked on. Another opportunity lies in automotive applications like LiDAR with higher power requirements. This application will need to use larger VCSEL arrays. VCSELs do their ranging and time-of-flight calculations using pulses of light with frequencies in the tens of gigahertz, identifying movement by looking at changes between one image and the next. 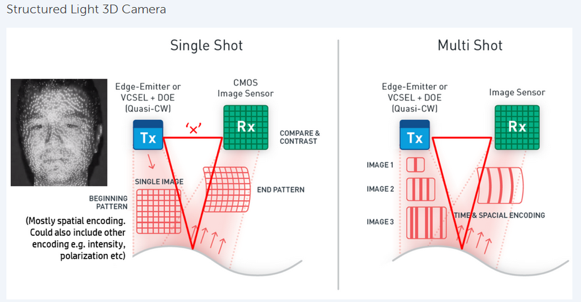 It’s not clear if that approach could be adapted to improve on LiDAR’s tendency to use longer wavelengths and continuous scanning, noted David Hall, principal marketing manager at National Instruments. LiDAR is a good potential market, but is less attractive than shorter-term automotive opportunities like motion-detection and face-recognition inside the cabin. The technology can be used to identify when a driver is drowsy, or allow passengers to control the infotainment or other systems with hand gestures, according to Craig Thompson, vice president of new markets for Finisar, which is supplies chips to Apple. Finisar has been developing VCSELs for use in copper-to-fiber interfaces for carrier-grade data-networking equipment since 2004, when it bought the division that first commercialized VCSELs from Honeywell and expanded sales beyond computer mice and PC peripherals and into data networking. But not everyone is on board with using VCSELs in their current form in LiDAR. The real advantage of VCSELS is their convenience, flexibility and power, as well as their thermal efficiency compared to other laser sources, Lamant said. VCSELs also deliver far more light per watt of power than alternative laser sources, Thompson said. Wiring is easier because electrical and thermal management can be done from underneath while the laser emerges from the top. The amount of power VCSELs put out is also linearly scalable by size. Each laser aperture is independent and essentially identical. The more apertures on a chip, the more power it puts out. Connecting them all to a single power source causes them all to emit in unison. Wiring a chip into zones makes it possible to have them emit at different times and different patterns—the power output of which is determined by the number of apertures. It’s possible that thermal interference or other types of noise may hurt VCSEL usage in the datacenter, but tests able to identify that type of interference are uncommon, Ferguson said. There should be a lot of products coming out with VCSELs over the next year, Thompson said, but the volume of VCSELS being produced, tested and verified are all far higher than they’ve ever been, though it’s likely most outside the optical industry would realize the extent of the changes, Thompson said. VCSELS were moderately successful for a decade in computer mice and other peripherals, which Honeywell commercialized in 1996, and have been popular as light sources in fiber-to-copper interfaces for carrier-grade data networking equipment since 2004. All of those were solid niche businesses, but were the were low-profile enough to keep VCSELs flying under the radar of most in the chip industry. After the iPhone X announcement, everything changed. There were still some challenges in designing an oversized, overpowered VCSEL capable of bouncing 30,000 IR spots off a user’s face to assemble a 3D map quickly and accurately enough to power the Face ID authentication in iPhone X, according to Thompson said. But the biggest challenge was figuring out how to meet the volume needs of the iPhone X. Apple announced that it would have to buy 10 times as many VCSEL wafers during the fourth quarter of 2017 as had been manufactured worldwide during the same period a year before. This was why Apple gave Finisar $390 million in 2017. The goal was to turn an idle 700,000 square-foot facility in Sherman, Texas, into the “VCSEL capital of the US.” When it reaches full capacity later this year, the 700,000-square-foot former MEMC fabrication plant will turn out, all by itself, more VCSEL wafers by several orders of magnitude than the whole VCSEL industry was able to manage in the past, Thompson said. Xiaomi and Oppo followed Apple’s announcement, promising to add 3D sensing functions to their mobile chips in mid 2018. That was followed by Huawei, Vivo and Samsung, which are expected to add VCSELs to some models this year, according to a market report from Yole Développement, which projects volume sales of VCSELs will rise from 652 million units during 2017 to more than 3.3 billion chips in 2023. 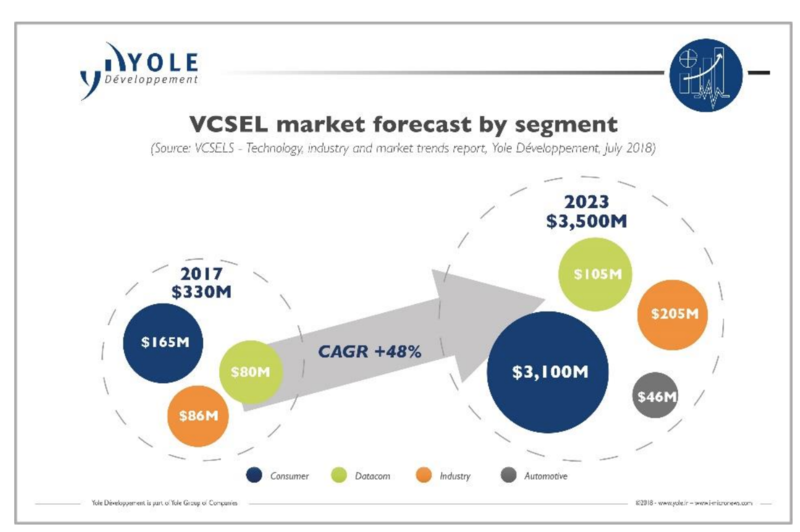 Sales of VCSEL chips will increase from $165 million in 2017 to $3.1 billion by 2023, Yole predicts. Philips Photonics, which boasts of having shipped more than 1 billion VCSELs compared to Finisar’s 300 million, spent 23 million euros in 2018 to double the capacity of its VCSEL facility in Ulm, Germany. And Austria-based ams announced it would spend $200 million to expand a VCSEL site in Singapore. Before FaceID, standard VCSEL manufacturing was, almost exclusively based on MOCVD, which is commonly used for III-V materials to create polycrystalline thin films, and fab-efficiency measures like automated wafer testing and beam-imaging were “nascent and immature,” Thompson said. “We’ve gone from 3-inch gallium arsenide wafers to 5-inch gallium arsenide. We’ve developed a more mature approach to automated wafer-scale tests throughout the fab process, which was very immature just a couple of years ago,” Thompson said. “We had to develop epitaxial wafers for these applications, scale the supply chain to keep up, develop new metrology and a new testing regimen based on learning borrowed from the RF industry to develop automated wafer tests and electrical probe. 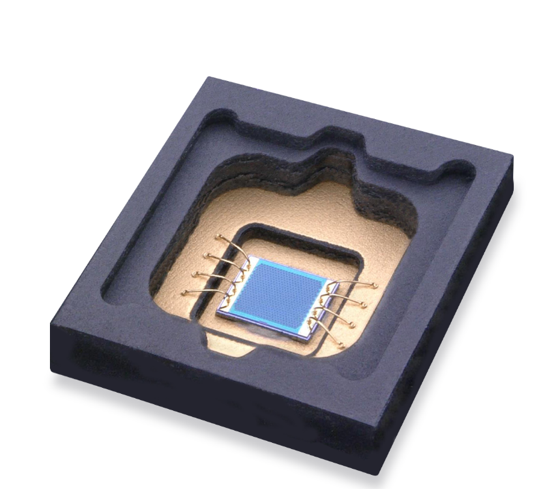 We had to develop, near-field and far-field optical testing to image the chip and its output up close and at a distance. We had to develop test methodologies to measure accurately things like number and function of apertures over a very large laser chip area and how the infrared light was being shaped and focused,” Thompson said. The Sherman, Texas plant opened in July, 2018 and won’t reach full capacity until later this year, but already offers capabilities VCSEL makers could not imagine just a few years ago. New promising technologies emerging from the core laser applications such as VCSEL, VCSEL are in demand and boosting the demand for laser technology in smartphone industry and various other domain.